SUN AND FUN IN GALVESTON! 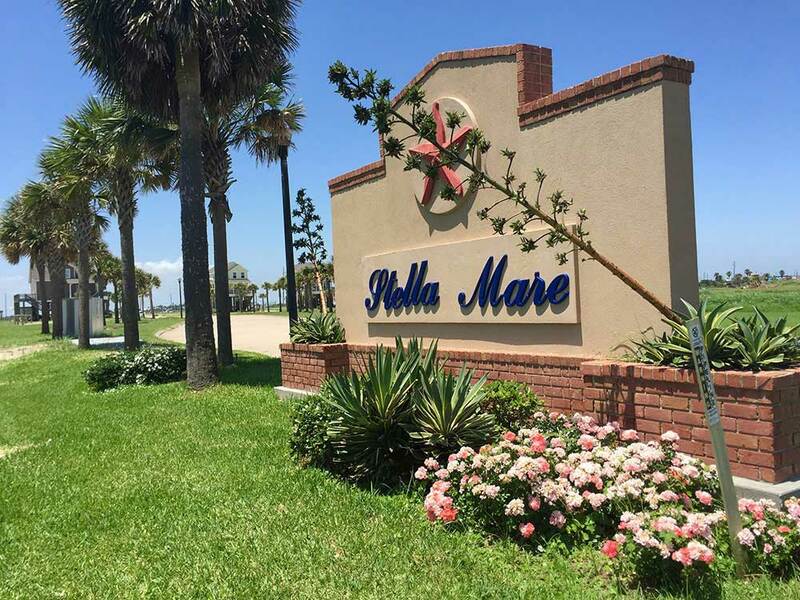 Immerse yourself at the finest RV Resort on Galveston Island! Kids love our Splash Pad, Sparkling Pool & Playground, while parents relax at the Tiki Bar & take in the view & sunset from our Unobstructed Ocean View Deck! $40 Site 82 Very new RV park that “got it right”. Very nicely laid out with wide paved streets, easy turns and large well-spaced concrete sites. Very cool clubhouse/office/laundry/bathhouse on stilts with an outside deck with a view of the Gulf. Mostly “Winter Texans” here for season meant a calendar full of activities. We attended a well-attended wine sharing get together the park co-sponsored with snacks and chocolate fondue. Large pool and hot tub, large playground and outdoor recreation area. Park is located on the west end of the island about a mile from the end of the Seawall. Seawall is a fantastic place for a bike ride, but avoid connecting to it via the main highway, instead go out the back entrance and use the much more bike friendly Stewart road to 89th street to connect to the Seawall trail. Galveston is a super happening place with something for everyone. We have stayed at Stella Mare SEVERAL times and have always enjoyed our stay. We get a pull-thru spot fairly close to the pool which is awesome and they even have a hot tub! It's pet friendly, the grounds are beautiful, the staff is very friendly and helpful. Plus it's located around so many things to do!! We have another stay coming up soon..can't wait! The facility was clean. Staff was excellent. Especially nice was 8am-8pm garbage pickup. I called ahead to ask about pop up tents and was told they are not allowed. I realized when we arrived I should have asked about pop up canopies, which are. The person I spoke should have clarified what I was asking about. As this faculty adds more amenities, it will only get better. We plan to vacation there again. My family and I are full time RVers. We stayed here for a period of 5 months and this is what we have to say. First off lets pin point the good things. It is in a great location, has a beautiful pool and playground, and is well maintained. Now for the bad list. The WiFi is horrible. We had to use our hotspot on our cell phones most of the time and even paying for an upgrade did not help. There is no cable.The spots are too close together unless you pay top dollar for premier sites (which are the only ones with picnic tables btw). As far as the bathrooms I found that the hot water did not last long and that the code would change and not be told what it was. Most of the staff are rude and inconsiderate. They pick and choose who they get onto. If you are a weekender then its fine but full time lets hope you fit into their "click". We had complaints of my dogs barking when it was their crew circling my trailer looking for poop causing them to bark when we were not at home. We were accused of not cleaning up our dogs poop when the 6 trailers around mine all shared a common area. One of the staff actually told us there was a watch list for certain spaces that they were told to keep a special eye on. When I purchased my new travel trailer I was coerced into moving it into a spot across the park from where I was at. After living in the spot for 3 weeks I caught the neighbor, who was a work camper, taking pics of my dog, rv, kids and surrounding area. When I confronted the office about the peeping tom worker I was told that he was told to do so by the staff and that we were not a "good fit" for their resort and needed to leave. I have always been very polite and tried working with them on multiple occasions and just felt like I was being "picked on". I will never stay in this park again and will warn everyone I know to stay away unless you're only in for a weekend. Exceptional RV Park for the following reasons: •195 spaceous and level sites- both back-in and pull- thru •One (more to come) spaceous house to rent •Sites are concrete and grass in all open spaces •Best pool I've ever seen in a RV park, lounger area in the pool, new modern loungers, chairs and tables •Large open areas throughout the park •Beautiful office •Decks overlooking pond and the Gulf of Mexico •2 hammocks •Several swings under office facing pond and the Gulf of Mexico •Bar and numerous tables overlooking pond and facing Gulf of Mexico •The bath houses are surreal, large ultra modern and clean and washers and dryers in the mens and womens... •Reasonable rates, actually very reasonable for the ammenties provided •Last, but certainly not least, the most accomodative and friendly staff we've ever encountered We highly recommend this destination, you will not be disappointed and we will be back.. Stayed here a month after staying at another RV Park in Jamaica Beach. This place was clean, quiet for the most part however no activities. Plenty of park to ride your park in or walk around! Downside was that it was dangerous walking to the beach; had to drive! Will most certainly recommend and will be back!! Beautiful new park. Stayed two weeks. Wish it could have been longer. Long and spacious pull-throughs that accommodated our 43' motorhome and tow car with room to spare. Nice staff too. Bathrooms were spotless. Washer/dryer price was steep. No change machines so bring plenty of quarters. Great dog runs, a plus in my books. Overall nice park.